Ned Flanders believes he has missed “The Rapture” until he discovers that everyone who has been left behind is left-handed! 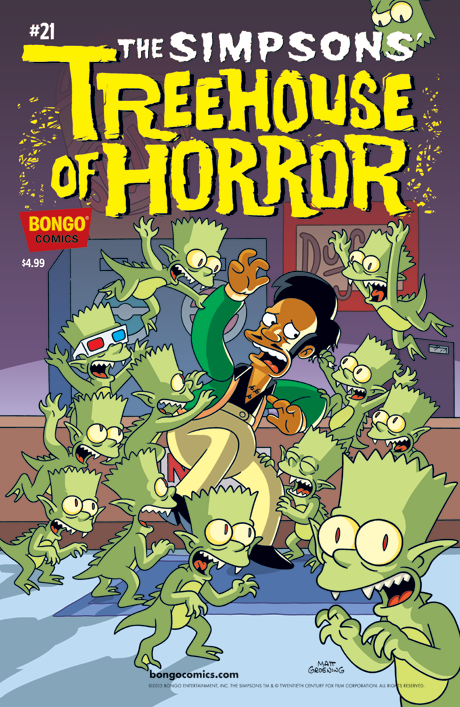 Then, Apu accidentally receives a shipment of adorable gremlins intended for the sorcery shop a few doors down the block; unfortunately, he doesn’t read the warning that tells him not to feed them Squishees after midnight. And visit the “metropolitan” world of Fritz Lang (Simpsons-style), when the idle rich championed by Mr. Burns clash with the working poor led by Marge Simpson.